Some times your game may crash while downloading or extracting a certain Workshop Addon. In order to prevent the game from downloading or extracting an addon, you have to unsubscribe from it. 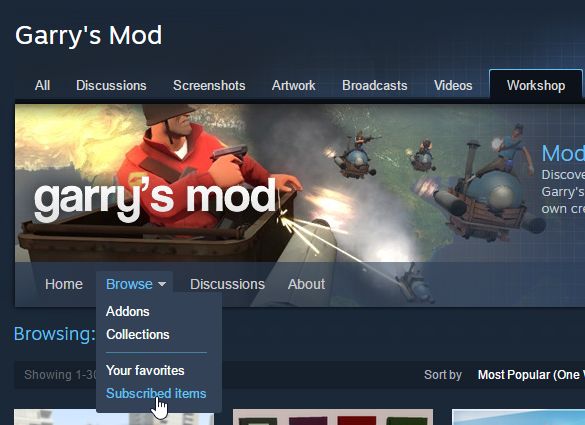 First of all, open Garry's Mod Workshop in Steam Client or Internet Browser of choice. You'll have to log into Steam again if you decided to use your Internet browser. Click here for a direct link to Garry's Mod Workshop. Unsubscribe from as many addons as needed before the issue gone.